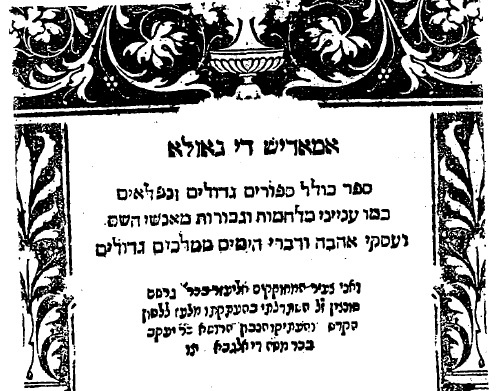 It was 1541 in Constantinople when Sephardic physician Jacob Algaba published his Hebrew translation of the first book of Spanish runaway bestseller Amadís de Gaula (1508). His translation of the endless adventures of the knight errant became the first novel written in the Hebrew language, and a literary example of Sephardic culture as the site of a symbolic struggle between the Spanish and Ottoman Empires. In a way Algaba’s translation is exemplary of the complex relationship Sephardim had with the culture of the land from which they had been expelled in 1492. Part of the way in which the Sephardim expressed their ‘Spanishness’ was in mimicking the intellectual and cultural habits of Imperial Spain. They reenacted Spanish cultural imperialism by their imposition of Sephardic culture on the Jewish communities of the Ottoman Empire and by their adaptation of the Humanist rhetoric of Spanish historians and novelists. Just as the Spanish Amadís was imagined as a Christian hero of Spanish imperial designs, Algaba’s Sephardic Amadís was a sort of avatar of Sephardic supremacy within the Jewish world, and a response to the Sephardim’s alienation from Spain. On the stage of the Mediterranean at the turn of the sixteenth century, the Sephardim are a sort of by-product of empire. Jettisoned from Spain, the Sephardim were free to rebrand ‘Spanishness’ to suit their own interests. They were hardly, after all, ambassadors of Spanish interests. But they were profoundly shaped by the cultural legacy of the land they had called home for over one thousand years by 1492. Though rejected by their home metropolis, they were still able to convert their Spanish identity into social currency in the host metropolis. 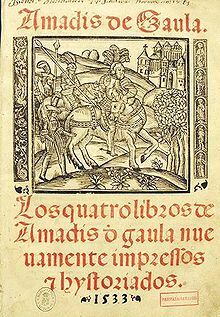 The chivalric novel Amadís de Gaula (1508) by Garci Rodríguez de Montalvo was a smash hit and set the standard for popular fiction of the sixteenth century. Readers could not get enough of the (seemingly endless) exploits of the knight errant who protected the weak, battled dark knights, sorcerers, and dragons, all in the name of his beautiful damsel Oriana. Montalvo’s book, and its many, lucrative sequels, itself became a kind of popular literary monster that only Don Quijote could defeat, effectively parodying Amadís and his successors to death in 1605. ¡what flowers, what roses might they have planted on its occasion, as concerns the bravery of the knights in the battles, skirmishes, and dangerous duels and all the other cases of confrontations and travails that were performed in the course of that war, as well as of the compelling speeches made by the great King to his nobles gathered in the royal campaign tents, the obedient replies made by them, and above all, the great praises, the lofty admirations that he deserves for having taken on and accomplished such a Catholic task! (Rodríguez Montalvo, Amadís 219-220, translation mine). Once the threat of Muslim Granada had been conquered by Ferdinand and Isabel in 1492, it was a logical next step to look toward Istanbul. The Ottoman Turks had, after all, conquered Constantinople in the not-so-distant past, and the loss of Christian Constantinople was, during the reign of the Catholic Monarchs, still a fresh wound. Diego Enríquez del Castillo (ca. 1500), wrote that “the pain of the loss of Constantinople, that the Turk had conquered, was very recent in the hearts of all.” (Crónica 156). 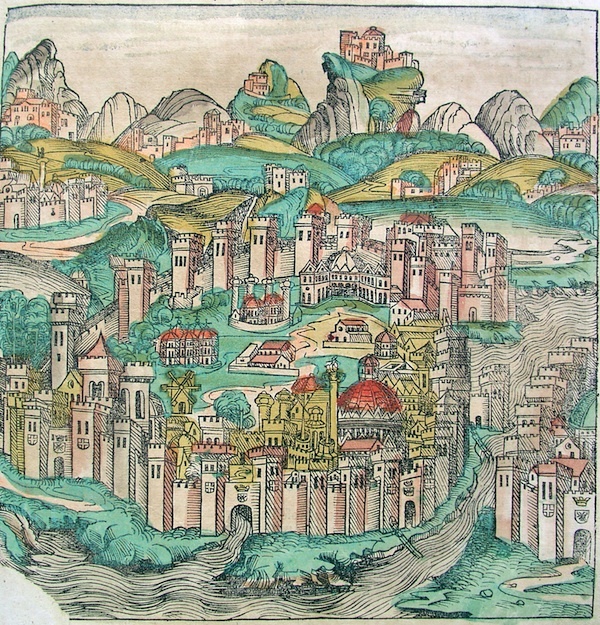 Ever since the Ottoman sack of Otranto, Italy in 1481, Spanish (and particularly Aragonese) writers were preoccupied by the possibility of a Turkish invasion of the Peninsula (Giráldez, Sergas 24). While an Ottoman invasion of Spain was probably not in the offing, such fears were similar to US fears of a Soviet invasion 1960s following the Cuban Revolution and famously parodied in the 1966 film The Russians are Coming, The Russians are Coming. The cult of Amadís and his successors and their iconic (if anachronistic) status as Christian heroes of imaginary conquests in the Mediterranean East were an understandable, if irrational, reaction. The effect is similar to a movie in which the sci-fi crazed protagonist suggests sending Luke Skywalker to battle Al-Qaeda. The English translator of Sergas de Esplandían (Montalvo’s sequel to Amadís) made a similar observation, calling Luke Skywalker “a kind of Esplandían redividus” (Little, “Introduction” 21). What does a Sephardic Amadís look like? And what might a Hebrew Amadís champion, if not the Spanish conquest of Ottoman Istanbul where Jacob Algaba translated the exploits of the Ur-Knight Errant into Hebrew a generation after Montalvo described Amadís’ deeds as worthy to be celebrated by the pens of Imperial chroniclers? In order to answer this, we need to take a look at the ways in which Sephardic intellectuals retooled and adapted the intellectual habits of the Spain they had left behind. This Sephardic cultural imperialism is one way in which the Sephardim expressed their ‘Spanishness,’ in carrying out a version of the Spanish cultural imperialism that characterized the late fifteenth century. Just as Spain colonized the Canary Islands, the New World, and bits of North Africa, the Sephardim did likewise in their new territories, the Jewish communities of the Ottoman Empire. This imperialism, like the Spanish, also had its attendant historiography, its intellectual culture: a Sephardic Humanism. The historian Solomon ibn Verga, writing in Hebrew in the mid-sixteenth century, borrowed liberally from Spanish sources and like his Christian historian counterparts, legitimized the current political order by linking it to the regimes of Classical Antiquity. In his history of expulsions and persecutions he writes like a Humanist, substituting both authors of Hebrew antiquity (Bible, Rabbis) for Latin and Greek authors favored by Christian humanists, but he also draws on Classical and medieval Iberian authors, lending his prose of more sophisticated, cosmopolitan tone. (Gutwirth, “Expulsion” 149-150). He cites Josephus frequently, creating a Jewish humanist precedent in the Roman author who plays Virgil to his Dante. What is the role of a Hebrew Amadís in this context? As with the case of Ibn Verga’s history book (Shevet Yehudah), the project of the Sephardic intellectual is twofold: on the one hand, they sought to legitimize their work by drawing on the prestige of Spanish Humanism; on the other, they reshaped this humanism into one that reflected the values of the community in a diasporic, transimperial context. Montalvo’s original Amadís had to pass muster with the Catholic censors and with the chivalric imaginary of the Spain of the Catholic Monarchs. Algaba, while giving voice to the Sephardic love for their vernacular culture, is free of these limits. He based his translation not from Montalvo’s 1508 edition, but from an earlier manuscript version whose Amadís was earthier, wilier, less courtly and less likely to make it into print in Spain in 1508. Algaba’s Amadís plays dirty when nessary, and the characters in Algaba’s version tell it like it is. In one example, Algaba includes an episode omitted by Montalvo where Amadís tricks his opponent into looking away in order to hit him: He asks the knight ‘to whom does that beautiful maiden behind you belong?’ When the knight looks away, Amadís sticks him in the groin with his lance, spilling his guts (Piccus, “Corrections” 187-88). In another example, Montalvo omits a reference to a character farting that is included by Algaba (Piccus, “Corrections” 201). These are scenes that do not pass muster with the chivalric imaginary of the Spain of the Catholic Monarchs. The Hebrew Amadís, therefore, is at once celebratory of and resistant to Montalvo’s Amadís. The culture of Montalvo’s Amadís, with its exaggerated religious rhetoric and rarefied standards of courtliness, has rejected Algaba (who was born in Spain), and Algaba is happy to return the favor, refashioning Amadís as a Sephardic hero, one who springs from Iberian tradition but who is free of the restraints of official Spanish culture as propagated by the courts and controlled by the censors of the Catholic Monarchs. Armistead, S. G. “Amadís de Gaula en la literatura oral de los sefardíes.” La pluma es lengua del alma: Ensayos en honor del E. Michael Gerli. Ed. José Manuel Hidalgo. Newark, DE: Juan de la Cuesta Hispanic Monographs, 2011. 27-32. Cervantes Saavedra, Miguel. Don Quixote. Trans. Edith Grossman. New York: Ecco, 2003. Enríquez del Castillo, Diego. Crónica de Enrique IV de Diego Enríquez del Castillo. Ed. Aureliano Sánchez Martín. Valladolid: Secretariado de Publicaciones Universidad de Valldolid, 1994. Giráldez, Susan. Las sergas de Esplandián y la España de los Reyes Católicos. New York: Peter Lang, 2003. Gutwirth, Eleazar. “The Expulsion from Spain and Jewish Historiography.” Jewish History: Essays in Honour of Chimen Abramsky. London: Peter Halban, 1988. 141-161. Hacker, Joseph. “The Sephardim in the Ottoman Empire in the Sixteenth Century.” The Sephardi Legacy. Vol. 2. 2 vols. Jerusalem: Magnes Press, 1992. 108-133. Little, William. “Introduction.” The Labors of the Very Brave Knight Esplandían. Trans. William Little. Binghamton, N.Y.: Medieval & Renaissance Texts & Studies, 1992. 1-61. Lunzano, Menahem di. Shete yadot. Jerusalem: [s.n], 1969. 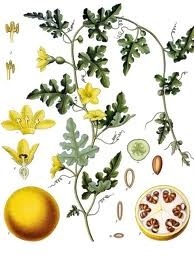 Piccus, Jules. “Corrections, Suppressions, and Changes in Montalvo’s Amadís, Book I.” Textures and Meaning: Thirty Years of Judaic Studies at the University of Massachusetts Amherst. Ed. Leonard Ehrlich et al. Amherst: Department of Judaic and Near Eastern Studies, University of Massachusetts Amherst, 2004. 179-211. Rodríguez de Montalvo, Garci. Amadís de Gaula. Madrid: Cátedra, 1987. —. Sergas de Esplandían. Ed. Carlos Sainz de la Maza. Madrid: Castalia, 2003. Tate, Robert Brian. Ensayos sobre la historiografía peninsular del siglo XV. Madrid: Gredos, 1970. This post was adapted from “Reading Amadís in Constantinople: the Sephardic as imperial abject,” a paper I gave at the 2011 UC Mediterranean Research Project Fall Workshop: “Mediterranean Empires” on 29 October 2011 at UCLA. [Workshop program] Thanks to the Seminar organizers for their hospitality and support. Summary: In the Abbasid-era (800s-900s) authors writing in Arabic joined a debate between those who identified as ethnically Arab and those who identified as Persian. This debate was reproduced in al-Andalus (1000s) between Arab and non-Arab Spanish Muslims. Jewish writers in al-Andalus then adapted this debate to the question of the relative superiority of Arabic and Hebrew as a literary language for the Jewish communities of Spain. After the Christian conquest of Spain, Arabic was replaced by Castilian at court. Nonetheless, Hebrew writers continued to battle the specter of Arabic’s literary legacy even as they faced the new, more immediate threat of Hebrew’s extinction by vernacularization and eventually by mass conversions of Spanish Jews to Christianity. The Arabic language boasts a rich poetic tradition that predates Islam by some centuries. The revelation of the Qur’an in Arabic was further proof (for the Muslim community) of the superiority of their language, and by extension, their culture. When the community of Islam began to grow beyond the borders of the Arabian peninsula where Arabic was a native language, large numbers of Persians, Assyrians, Berbers, and members of other ethnic and linguistic groups began to adopt Arabic as their literary language. Arabic became an imperial language used by authors from a variety of ethnic and linguistic groups. In this pluralist Islamic society, during the first centuries of the Abbasid Caliphate (beginning in 762 CE), there developed a debate over the relationship between language and ethnic identity that was critical of the doctrine of Arabiyya (also the word for the Arabic language), the idea that the superiority of the Arabic language flowed from the superiority of the Arabs themselves, a fact proven by their being chosen to receive the Qur’an. We said: In the same way they [the Qurayshis] were accustomed to hear from the tribes of the Arabs their dialects; so they could choose from every dialect that which was the best in it. So their speech became elegant and nothing of the more vulgar forms of speech was mixed up with it. The Arabs boast of being master of the world and commanders of peoples. Why do they not rather boast of being skillful sheep and camel herders? but my song is of Lu’ayy b. Ghalib. as a Persian whom Arabianism (al-ta`rib) drew to itself. that my origin is clear and my wood hard. Although the language of Abbasid era Shu’ubiyya speaks to ethnic origin, what was actually at stake for the writers and their audiences was the question of class and of access to prestigious administrative positions at court and in the Abbasid adminstration. The elites of Abbasid society largely claimed Arab descent, while the great mass of middle-class functionaries more often identified as Persian. Ultimately, the Shu’ubiyya debate was not about Persians being cultured and Arabs being primitive nomads, it was about gaining access to good white-collar jobs (Norris, “Shu’ubiyyah” 31). In al-Andalus (Muslim Spain) this debate was reproduced by writers who identified as descendants of the Arab elite that led the 711 invasion of Visigothic Hispania, or as descendants of the various other ethnic groups that lived in the Iberian Peninsula (Hispano-Romans, Visigoths, Franks, Slavs, Basques) and who converted to Islam and adopted Arabic as their literary language. During Ibn García’s lifetime a parallel discussion was taking place within the Jewish communities of al-Andalus over the relative merits of Arabic and Hebrew. The Jewish communities of al-Andalus (Muslim-ruled Spain) were highly Arabized, but many were also conversant in the Romance dialects of the Iberian Peninsula. In addition to their participation in the Arabic-language culture of the times, Andalusi Jews also left behind a tremendous legacy of Hebrew-language learning ranging from Rabbinical treatises to secular poetry. Like an Arabic poem, in words of sweetness. With its turns of phrase and eloquence. Even after Christian monarchs conquered most of the Iberian Peninsula, Arabic continued to be a prestigious language of secular and Jewish learning, particularly in the fields of grammar, poetics, and philosophy. A select elite of Jewish intellectuals living in Christian Iberia continued to study Arabic and to produce learned treatises in Arabic long after it ceased to be the language of government. The city of Toledo was conquered by Alfonso VI in 1085 CE, yet nearly a century and a half later Toledan writer Jacob ben Eleazar (fl. ca. 1220) would complete a treatise on Hebrew grammar, Kitab al-Kamil, in Arabic. Said Jacob ben Eleazar: The reason for this book of tales, and the composition therein of my words, is because the learned amongst the Arabs were troubling the Holy Tongue, who nonetheless boasted against it in their insolence, saying: ‘it should be fitting to write in our language every tale!’ They were challenging Our Language, saying: ‘we will prevail!’…. In these pro-Hebrew texts (Ibraniyya is the Arabic word for Hebrew), authors drew on some of the resources of the shu’ubiyya, but the context of their argument was quite different. Abbasid and Andalusi shu’ubi writers wrote in the dominant, official language of state that was common to both Arabs and non-Arabs. By contrast, Jewish writers of the Ibraniyya wrote in Hebrew, which was read exclusively by their Jewish peers. Their debate was internal to the Jewish community. They were fighting to determine which language would emerge victorious as the prestige language of secular learning in the Jewish communities. In a sense this debate was a rhetorical exercise. Thanks to the efforts of the Ibn Tibbon family of translators, Hebrew boasted a large repertory of secular scientific and philosophical texts brought over from Arabic originals (mid-twelfth to the early fourteenth centuries). The Ibn Tibbons were Spanish Jews who migrated to Provence during the mid-twelfth century, when the Almohad invasion of al-Andalus made life difficult for certain Andalusi Jewish communities. They translated scores of important works of grammar, Aristotelian philosophy, and science into Hebrew for diffusion among the Jewish communities of Europe and the Mediterranean who lived in countries where Arabic was not widely known. Thus Hebrew became a language of secular learning as well as of Rabbinics in the region (Robinson, “Ibn Tibbon”). What is curious is that by the late thirteenth century, authors living in Christian Spain such as Isaac ibn Sahula were still waging poetic war against Arabic, which by now was no longer a productive secular literary language in Christian Iberia (though colloquial Arabic continued to be spoken, especially in Valencia, well into the sixteenth century). Stil, Ibn Sahula continues the Ibraniyya debate in the introduction to his collection of tales and anecdotes, Meshal Haqadmoni (‘Tale of the Old Timer,’ ca. 1285). To show the nations and their generals its beauty. Ibn Sahula’s desire to ‘show the nations’ harkens back to the origins of the Shu’ubiyya debate, which emphasizes national or ethnic difference rather than linguistic. In the Jewish context, there are no ‘nations or generals’ to witness the beauty of the Hebrew language in Ibn Sahula’s book: his audience is exclusively Jewish. As in the case of al-Harizi, the debate is internal, a struggle to ensure that when Jews wrote works of poetry, philosophy, or science, that they did so in Hebrew and not Arabic. But was Arabic still a viable candidate in 1285 in Christian Castile? Ross Brann was written that by this time writers such as Ibn Sahula were fighting against the ‘ghost of Arabic,’ and that their aim was nationalistic, not linguistic (Brann, Compunctious 123). It is also possible that they were thinking about Spanish while writing against Arabic. In the second half of the thirteenth century, Alfonso X ‘The Learned’ of Castile-León funded a massive initiative to translate Arabic works of philosophy and science into Castilian (not Latin), with the aim to raise the prestige of the Castilian language to a level appropriate to the court of a king who dreamt of becoming Holy Roman Emperor. Though Castilian never gained much traction as a literary language in Spain’s Jewish communities (Wacks, “Toward”), Spanish Jewish authors were fluent speakers of Castilian and the other Romance dialects of the Peninsula, and were familiar with the vernacular literature of their times. The later examples of Ibraniyya may well have been using the Arabic trope as a foil for Castilian as a potential rival for Hebrew. Ultimately, the threat to Hebrew’s fate on the Peninsula was not to be the adoption of Castilian as a Jewish literary language, but the mass conversion of Jews into Christians who then ceased to write in Hebrew (with a few interesting exceptions). In the early fifteenth century, the poet Solomon de Piera derides these converso poets as “flies who buzz around the horns of a buffalo, or monkeys who slide their hands fruitlessly up and down flutes” (Targarona Borrás, “Carta” 180). Eventually literary Hebrew was dealt the death blow of the Expulsion, which would relegate the study of Hebrew to Christian universities such as Salamanca and Alcalá. Allony, Nehemiah. “The Reaction of Moses Ibn Ezra to `arabiyya.” Bulletin of the Institute of Jewish Studies 3 (1975): 19-40. Ben Eleazar, Jacob. The Love Stories of Jacob Ben Eleazar (1170-1233?). Ed. Yonah David. Tel Aviv: Ramot Publishing, 1992. Brann, Ross. The Compunctious Poet: Cultural Ambiguity and Hebrew Poetry in Medieval Spain. Baltimore: Johns Hopkins University, 1991. Goldziher, Ignác. Muslim studies. Trans. C.K. Barber & S.M. Stern. Chicago: Aldine, 1968. Ibn Sahula, Isaac ben Solomon. Meshal Haqadmoni: Fables from the Distant Past. Portland: Littman Library of Jewish Civilization, 2004. Kahle, Paul. “The Arabic Readers of the Koran.” Journal of Near Eastern Studies 8.2 (1949): 65-71. Monroe, James T. The Shu’ubiyya in al-Andalus: The Risala of Ibn García and Five Refutations. Berkeley: University of California Press, 1970. Norris, H.T. “Shu’ubiyyah in Arabic Literature.” ’Abbasid Belles-Lettres. Ed. Julia Ashtiany et Ashtiany. Cambridge: Cambridge University, 1990. 31-47. Robinson, James. 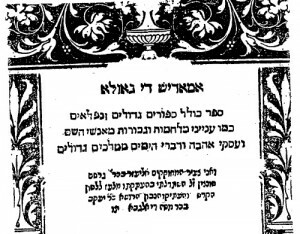 “The Ibn Tibbon family: a dynasty of translators in medieval Provence.” Be’erot Yitzhak: Studies in Memory of Isadore Twersky. Ed. Jay Michael Harris. Cambridge: Harvard University Center for Jewish Studies, 2005. 193-224. Roth, Norman. “Jewish Reactions to the ʿArabiyya and the Hebrew Renaissance in Spain.” Journal of Semitic Studies 28.1 (1983): 63-84. Targarona Borrás, Judit. “Carta inédita de Selomoh de Piera al Rab Abraham ben Yishaq Ha-Levi.” Miscelánea de Estudios Árabes y Hebraicos 49 (2000): 165-189. This post was written with support from the Abbasi Program in Islamic Studies at Stanford University, where I will deliver a talk on this subject (13 October 2011).